In addition to the dwindling number of clinics left in operation, there has also been a concerted effort nationwide to defund family planning services. 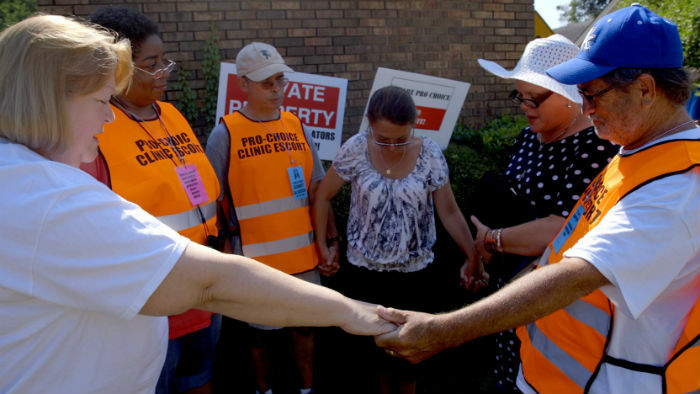 Together, these restrictions have led to a women’s health crisis, primarily affecting poor and underserved communities. In January, director Dawn Porter (Gideon’s Army) premiered her latest film Trapped at the Sundance Film Festival, where it won the U.S. Documentary Special Jury Award for For Social Impact Filmmaking. 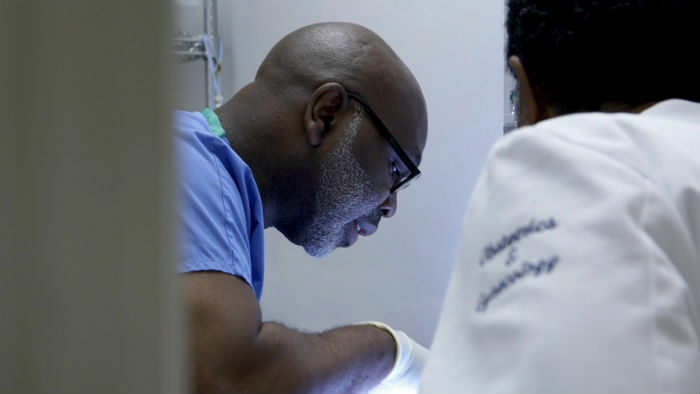 Trapped follows the clinic workers most affected by TRAP laws (who also face threats to their personal safety) as they prepare to bring their case to the Supreme Court. A ruling in the case, which went in front of the Court this March, is expected any day now. How the court defines “undue burden” could have a massive impact on whether abortion remains safe and legal for millions of American women. Must-see documentaries like these can have the power to enlighten audiences and inspire societal change. As we collectively wait for the ruling, PBS Independent Lens will screen this crucial documentary on Monday, June 20. On the eve of the film’s broadcast, Dawn Porter shared her thoughts about what, exactly, is at stake. I think many people were vaguely aware of the slow and steady erosion of women’s health in this country, but your film brings into sharp relief the severity of the threat to our collective rights. How did you learn about the restrictive TRAP laws? Was this an issue you had been following? 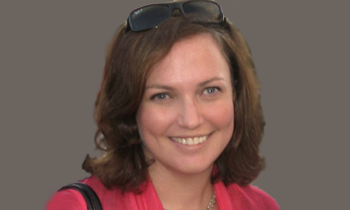 Dawn Porter: I was working on another project in Mississippi in early 2013 and was reading the local paper when I stumbled upon a story about some recent TRAP law regulations at the time. I was stunned. TRAP laws did not yet have the robust national profile that they do now, and I started to do some further research on the subject and learned about the work of Dr. Willie Parker in the process. He is a Harvard-educated doctor who traveled from Chicago to Alabama and Mississippi to perform abortions at the clinics featured in Trapped. I met with Dr. Parker on a trip to Chicago in December of 2012. Among other things, he shared stories about how TRAP laws were eroding access to abortion and disproportionately impacting low-income women of color. After our meeting I knew that I needed to make this film. What do you think has precipitated this swing back to the right, 43 years after Roe v. Wade? Why is our country so divided? Dawn Porter: In 2015 Pew Research conducted a study about American opinions towards abortion and found that, in general, more Americans are open to the legality of abortion. In truth, 56% of Americans believe that it should be legal in most or all cases. However, there are certain populations within the U.S. that are more strongly against abortion in any case than ever before. These tend to be overwhelmingly white, protestant Christians who live in the southeastern part of the United States. Because of this, I do not have a good answer as to why this shift has taken place. To the best of my understanding of the issue, I would say that there is a highly vocal minority of people with influence in state legislatures who have strong opinions about the morality of abortion and want the law to reflect their moral convictions on this issue. Once you started to dig in to your research, what surprised you the most about what you discovered? Dawn Porter: The most surprising and disturbing thing about this issue for me is the fact that state legislatures will not only remove access to healthcare procedures for their citizens, they will also require doctors to share medically inaccurate or misleading information to their patients before they can consent to treatment. There is no other procedure or medical service where physicians are required by law to knowingly share mis-information with patients. The protagonists in your film are heroes of the highest order, dedicating their lives to protecting the right of women across the country to make decisions about their own bodies. What do these people represent to you? Dawn Porter: To me, these people are the calm in the midst of the storm going on around them. They are persistent, determined and resilient. Their level of care for the cause and those they treat is so impressive. 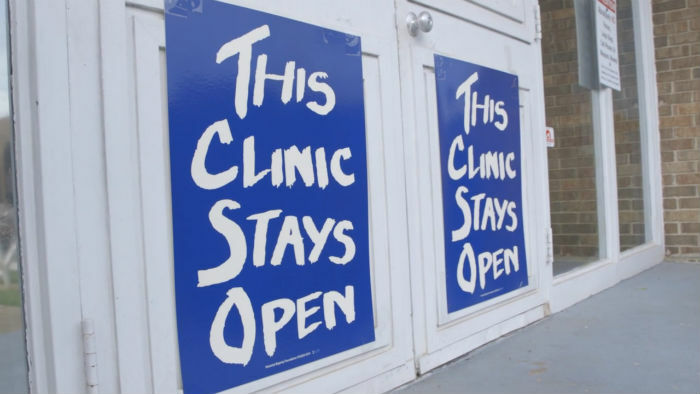 They work tirelessly and put themselves in financial jeopardy to keep their clinics open and to continue supporting women and families in need of their services. I was most amazed by their tenacity. These are dedicated, compassionate people who have navigated the bureaucratic legal maze of laws that are often inconsistent with modern medical knowledge and practice because they believe so strongly in what they do. Any other person would’ve given up long ago in the face of what some of these professionals have endured, but they keep fighting because of what they believe in their cause. It is humbling to see such a commitment to such difficult work. I especially appreciated the men working in tandem with women at the forefront of the women’s health movement. Were you expecting to find that equality? Dawn Porter: I am not sure what I expected in terms of the gendered dimension of the issue in this regard. Although this issue uniquely affects women, it is a community and social issue. Many people seem to think that it’s simply about terminating an unwanted or unviable pregnancy, but the deeper questions are apparent. What happens when that fetus becomes a baby requiring care and support? What happens when that baby becomes part of a family? That affects everyone. Smart men understand that women’s issues are human issues and women’s rights and health are human health and rights. For example, I encountered one husband who drove his family to a clinic in an RV so that his wife could have an abortion. He understood that the implications of that choice were far reaching and affected him, too. So many of the stories in your film are heartbreakers, and you treat them with sensitivity and care. How did you connect with the subjects in your film? Was it tough to get them to open up to you? 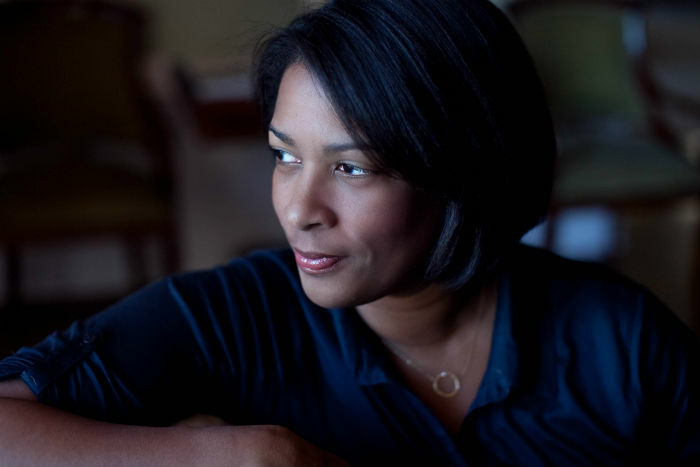 Dawn Porter: Like with any human relationship, it takes time. I often expect characters in my films to take a while to open up because it’s human nature to act differently when we know we’re being watched. But, I know I’ve reached the point of authenticity when the characters act the same whether the camera is on or not, and that is the point at which I start to put together their story. Your film could not be more timely, as a landmark case is currently in front of the Supreme Court; a decision could be handed down any day. Can you talk a little about what’s at stake? What is the definition of “undue burden”? Dawn Porter: The question of what constitutes an “undue burden” is the very core of this issue; that is the crux of the whole matter at hand. In the 1992 Casey v. Planned Parenthood case, the ruling stipulated that states could not impose an”undue burden” on abortion access. The ruling defines this as “substantial obstacle” put in place to bar women’s access to the fundamental right of choice. But, a substantial obstacle apparently is in the eye of the beholder. The justices in the 5th Circuit, when posed with the fact of a 200-mile-plus round trip journey, said that “women could drive fast.” So for some, the time and expense of travel to get an abortion is not an undue burden; for others it means not being able to afford rent or groceries for the month. The Court’s decision is incredibly important not only because it will determine how access to this right is defined, but it will have the added effect of either equalizing or creating further imbalance of access to abortion. Given the current breakdown of the Court, what should we expect from their ruling? Is there reason to hope? Dawn Porter: I do not think that this is a time to take anything for granted. The case presents a fascinating legal question about the immediate impact of law and the power of the ruling for states besides Texas. Regardless of the outcome, the effect of the ruling has the potential to be far-reaching. Since Trapped‘s premiere at Sundance, you’ve been sharing the film with audiences around the country. What has the reaction been? Dawn Porter: The reaction has been so authentic, so genuine. From Hawaii to Maine we have hosted more than 240 community screenings, as well as a theatrical run. People are reaching out with kind words, and letting me know how this film personally resonates. My favorite feedback about the film is hearing about when mothers take their daughters, and daughters take their mothers. Also, I have been so proud of communities where TRAP laws are affecting women the most. Often, there is a spiral of silence that occurs when groups or individuals are targeted and marginalized by laws and regulatory practices. But we have seen groups in these places stand up, speak out and engage in meaningful public discourse on the issues affecting their community in the context of a Trapped public screening and discussion. This is why documentary films are so important to me–they help give names, faces, and perspectives to issues that have profound human consequences. Dawn Porter: The most important thing anyone can do is get involved with their communities on this issue, get educated, and vote. If anything, I hope this film shows the extent to which local elections and candidates matter. Right now, our national focus is on Trump, Clinton, and Sanders, but it is your state assembly representative who might be legislating your body next session. Trapped is scheduled to air on Independent Lens on PBS 10/9c on Monday, June 20. While many local PBS stations will air the film then, not all will. Check your local listings. Beginning June 21, viewers can also stream the film online for free, for a limited time. Note: This interview first appeared on The Huffington Post.